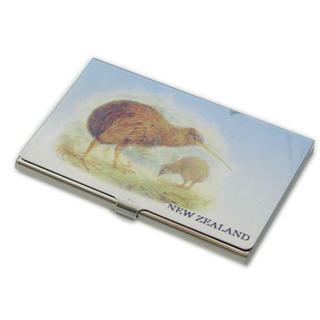 All metal, usually in high polish chrome, business and credit card holders with a souvenir of New Zealand image on the top face. 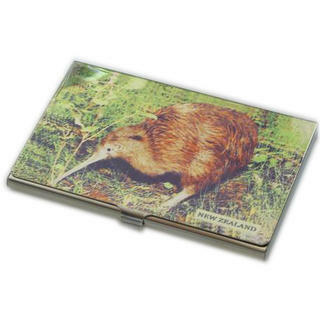 All metal, in high polish chrome, business and credit card holder with an image of a New Zealand Kiwi on the top face. 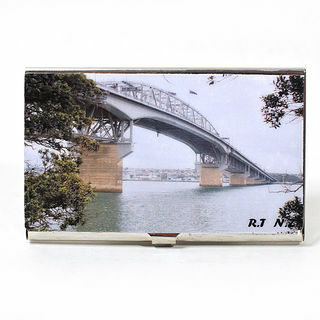 All metal, in high polish chrome, business and credit card holder with an image of the Auckland Harbour Bridge on the top face. 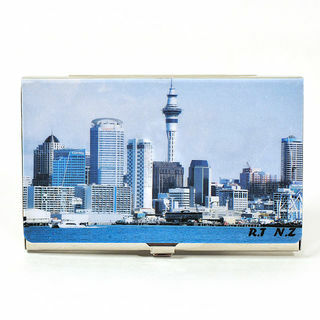 All metal, in high polish chrome, business and credit card holder with an image of the Auckland skyline on the top face. 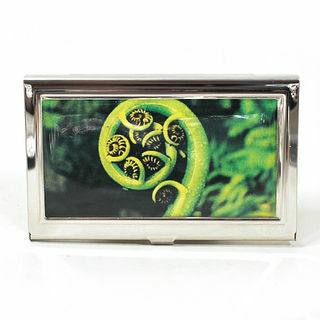 All metal, in high polish chrome, business and credit card holder with an image of a New Zealand fern koru (as a 3D inset) on the top face. Note the marks appearing in the photo are a photographic reflection - the face is actually flawless. 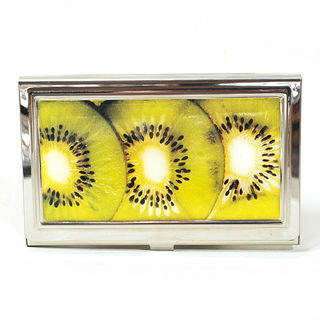 All metal, in high polish chrome, business and credit card holder with a 3D image of New Zealand Kiwifruit slices inset in the top face.